← Honeymoon in Sri Lanka – Not us! 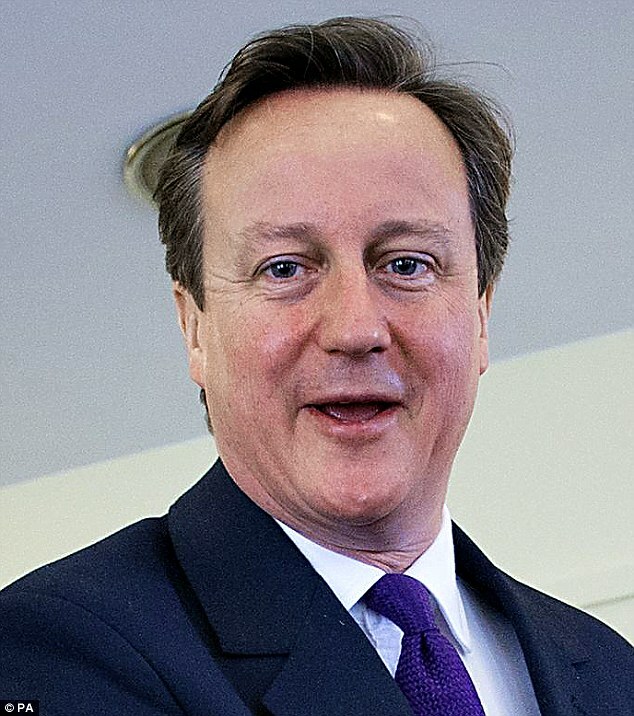 David Cameron on the Brink of Insanity? The claims coming from Cameron and his EU Remain camp are becoming increasingly bizarre and unbelievable, although he could be excused this irrational behaviour if you delve a little deeper (see below). Over recent weeks we have been told that Brexit will cause World War III, the economy will collapse, 1 in 10 marriages will fail and Turkey will not join until the year 3000 (ambitious forecasting). And of course he actually claims that we can control immigration whilst belonging to a club founded on the principle of free movement of people. Not characteristics of someone in control of his faculties, but read on. Unfortunately for Dave the Remain camp has virtually no benefits to support its claims as currently the EU is an awful mess – uncontrolled borders, a bankrupt southern Europe, the potential collapse of Greece and others, the Euro in the toilet, accounts that always fail audit, small businesses strangled by regulations and a huge unelected and expensive bureaucracy shuttling between Brussels and Strasbourg. Had the EU been strong and successful Cameron would have lots of facts to support him but, of course, we wouldn’t need a referendum then. But lets have some sympathy for the poor man. His big mistake was his “renegotiation” where he proved he could not negotiate – he should have sent someone else. Instead of aiming high and accepting something in the middle he begged his way round Europe asking for nothing and getting less. Having failed so dismally he had two options. Quite rightly say that EU leaders were inflexible and then back the Leave campaign, or to pretend he had a great deal and try to defend the indefensible. He should have chosen the former but went for the latter leaving himself boxed into a corner. His only option now is to ignore the depressing facts and speculate wildly, especially about the economy which no one can predict in or out of the EU. Of course he is also under great pressure from other EU leaders who want to see UK taxpayers continuing to bail it out financially. And from the heads of multinationals keen to exploit free movement of goods and money to minimise tax and maximise their incomes, whilst promising him plum directorships when we sling him out. And from his father-in law who has received £614,577 in EU farming subsidies. No conflict of interest there. So perhaps we should have some sympathy for him as we place our X in the box next to LEAVE. And perhaps future Prime Minsters should be chosen according to their negotiating skills. Although I am no great fan of Thatcher she would have had Merkel eating out of her hand, not the other way round. Post Script: On the BBC website today (12th June) Cameron says he will not be able to protect pensions, the NHS and defence spending if we Brexit. If he lacks the ability to run the country without the EU doing it for him he should resign. This entry was posted in Home and tagged Brussels, Cameron, David Cameron, EC, EEC, EU, Europe, European Union, MEPs, Referendum, UKIP. Bookmark the permalink. 1 Response to David Cameron on the Brink of Insanity? I think I know into which ring you have thrown your hat. We need a new definition for ‘facts’!